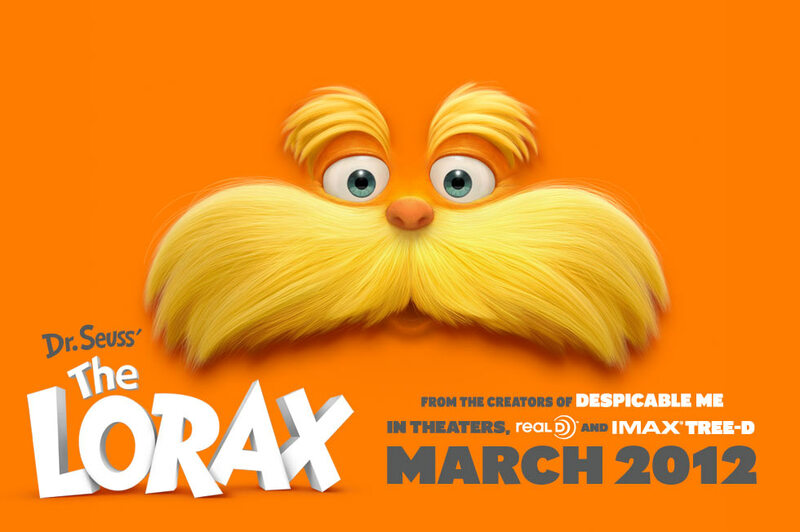 By now you’ve probably seen the trailers, the billboards, or the general buzz letting you know that a new version of Dr. Seuss’ 1971 parable The Lorax is coming to the big screen. The last time The Lorax was animated was 1972, in a TV special created by DePatie-Freleng (well known for The Pink Panther cartoon show). This time, Universal Pictures and Illumination Entertainment (who most recently brought us Despicable Me) will be releasing the CGI film version on March 2nd. It’s directed by Chris Renaud and Kyle Balda, and stars the voice of Danny DeVito (as the Lorax) as well as Zac Efron, Ed Helms, Betty White, and Taylor Swift. The original story, if you didn’t know, tells of a young boy who meets up with an unseen creature known as the Once-ler, who tells a story of his youth… when he destroyed a tranquil forest in the name of industrialization and commercialism, despite the pleas and warnings of the Lorax, a sort of spirit of the forest. As with the big screen adaptation of Horton Hears A Who, a lot has been added to the basic plot for this new version of The Lorax. It remains to be seen if the new movie will maintain not only the original’s important message, but also the power of it’s hopeful yet rather bleak ending. You can decide for yourself when the film comes out, or by visiting Unversal’s Lorax Movie Site. Apparently he's now shilling for Mazda, which kinda dilutes the message. The Lost Dr. Seuss — Found!